We like the GlobalBoost (BSTY) alternative crypto currency that uses Yescrypt algorithm for mining, so we have decided to run a giveaway of some coins for free to everyone interested in checking it out. The BSTY started as a CPU-only crypto coin, but recently we have seen GPU miners for Nvidia and AMD getting released as well, though they still need some performance optimization. 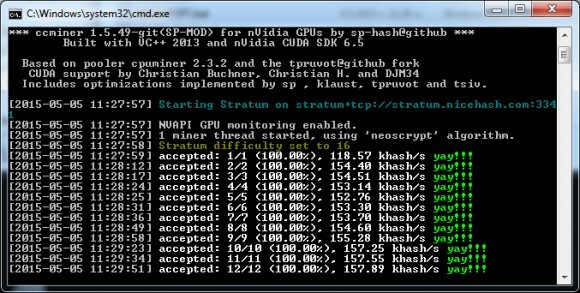 For the moment CPU mining is still faster, especially if you have an up to date multi-core processor that is sitting idle and waiting to be put to some good use such as mining. 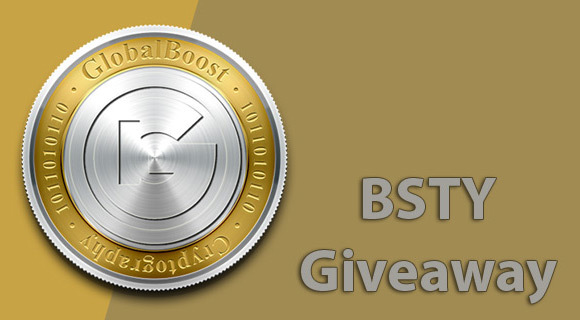 So getting back to the GlobalBoost (BSTY) giveaway, all you have to do to take part in it is to post your BSTY wallet address in the comments below and you will get 50 BSTY coins sent to you – that is the reward you get if you mine a single BSTY block. Do note that since the all of the coins will be sent manually to you it may take some time before your reward is sent, but normally it should not take more than a few hours. Only one reward per user is allowed, so please do not abuse our giveaway – we have prepared enough coins to give away, but we reserve the right to cancel the giveaway at any time we decide. – For more information about the GlobalBoost (BSTY) alternative crypto currency…. Earlier this month GPU miners for Yescrypt getting released for AMD and Nvidia GPUs were released thanks to the work of djm34. These miners however still seem to be slower in terms of performance when compared to CPU mining for Yescrypt, so we’ve decided to give a quick test on what some up to date CPU and GPU hardware is capable of in terms of performance. There are two coins that rely on Yescrypt at the moment, these are GlobalBoost-Y (BSTY) and Unitus (UIS), though UIS is a multi-algorithm altcoin. Below you can download the CPU miner for mining Yescrypt that we’ve used for the tests and as for the GPU miners, we have already published them here on the website – the djm34 fork of ccMiner and sgminer with Yescrypt support as well as the latest ccMiner fork from SP. New update in the form of a new Windows binary compiled from the latest source code of ccMiner 1.5.49-git SP-MOD fork of the Nvidia GPU miner optimized for the latest Maxwell-based video cards by SP (source). This version includes a lot of improvements and fixes such as the addition of Yescrypt and NeoScrypt support based on Djm34’s work, serious improvement for the performance of Blakecoin and more. The SP-MOD fork of ccMiner is designed for Nvidia Maxwell GPUs such as the already available GTX 750, 750 Ti as well as the newer GTX 960, GTX 970 and GTX 980. 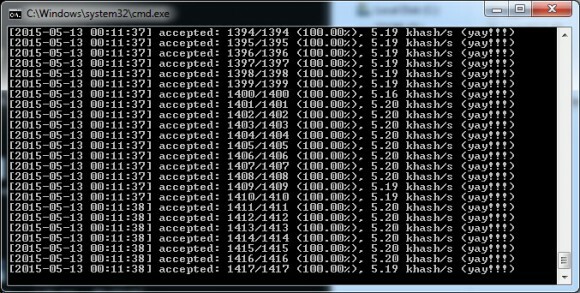 The Windows binary release we have made available here is compiled with support for Compute 5.0 and Compute 5.2 GPUs or with other words only for Maxwell-based cards with CUDA 6.5 and VS2013.